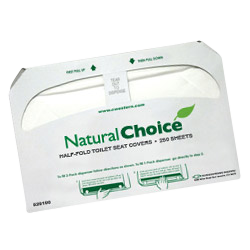 CWC premium disposable restroom seat covers offer sanitary protection in public bathrooms. 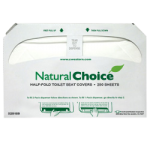 Meet EPA guidelines for post consumer waste, seat covers are available in both half fold and quarter fold formats. 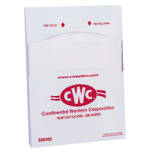 CWC top-quality toilet seat covers are in stock and ready to ship today. Plastic dispenser covers one at a time. Includes mounting hardware.